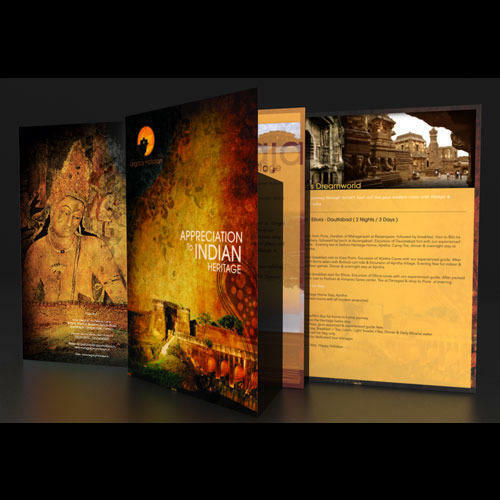 We are the most prominent names in the industry for rendering Brochure Design service that is available in various enchanting colorful range to match with the specific requirement of our clients. Our offered service comprises skilled and experienced personnel, designers who enable us to cater the exact specifications of clients. The offered service is extensively admired for its high quality standards and cost-effectiveness. Further, our provided service is available in various designs and patterns. Established in the year 2013, in Pune (Maharashtra, India), we, “Cranberry Studios”, are a reliable service provider, engaged in proving Logo Design, Corporate Identity Design, Corporate Stationary Design, Corporate Video, Corporate Presentation, etc. Our Advertising & Graphic Designing services initially focus on creating a basic foundation that is creating a Corporate Identity of your business. This includes Logo Design, Visiting Card Design, Letterhead Design, Envelope Design and Brochure Design. Once a Brand Image is established, we take Corporate Identity to its next level in the form of a Website Designing. Even after a first rate Website Designing and Website Development, we don’t just stop there. We have all the Online Promotion activities that are available in this media world which will help you to promote you brand. We also perform Search Engine Optimization – SEO for your website to ensure constant page rank in the various search engines. Online Media Optimization is our fast growing service which includes social media campaigning on Facebook, Twitter, LinkedIn, Google and many more. A Corporate Video, Corporate Presentation or TV Ad Films for your business is a one stop solution for all the client understanding and marketing of your brand.